Fizzics Personal Beer Tap - Moar Stuff - You don't need it but you know you want it. $119.92 $129.99	Get Your Stuff! What guy (or girl for that matter) doesn’t prefer beer from the tap over cans and bottles? I know I do. 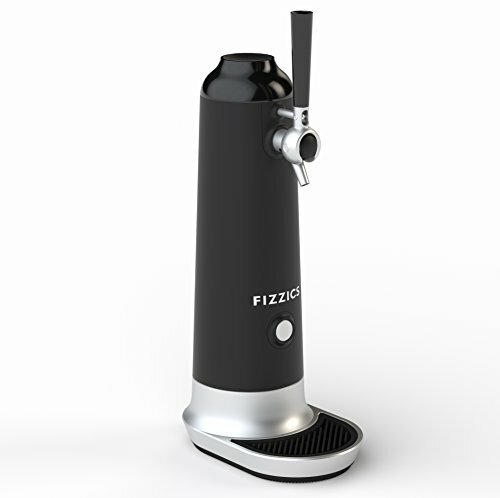 If you do too, you’re going to love the Fizzics Personal Beer Tap!! Somehow… I dunno, by using magic or alien technology or something… this device actually makes beer from a can or bottle taste like it just came from a keg!!! You just put a bottle or can (up to a 64oz growler) in the device, insert the hose, seal the chamber, and pull the lever to receive the delicious golden nectar of the gods in your glass or Viking Drinking Horn!!! Through its magic/science/voodoo, it changes the beer to have better foam, density, and texture. This results in less of a canned or bottled taste and more of a fresh-from-the-keg taste. So, if you love beer (or know someone who does) get your Fizzics Personal Beer Tap now. You’ll be happy you did.